Transcript: Frazier: This is Chris Frazier, an interview with Rocco Perrone in his home in Kennett Square, Pennsylvania. Could I have your full name Mr. Perrone? Rocco Perrone: Rocco M. Perrone. Rocco Perrone: One sixteen West Linden, Kennett Square, Pennsylvania. Frazier: That's correct. And your age? Rocco Perrone: I'll be 84 next birthday. Margaret Perrone: So he's 83. Rocco Perrone: I'm 83 now. Rocco Perrone: 444-3450. Now you lived in Squirrel Run? Frazier: Do you remember the dates? Rocco Perrone: Oh, the date - I don't really - it was in 1913. Margaret Perrone: Yeah, 1913 is about the time we came here. Rocco Perrone: Then from Squirrel Run, we moved on the DuPont Estate, which was my father was working for - Henry - Col. H. A. du Pont. Frazier: What was your father's name? Frazier: And where was he born? Rocco Perrone: Born in Italy. Margaret Perrone: In Giusvalla, Italy - they have it spelled wrong in the book. Frazier: And your mother's name? Rocco Perrone: Rosa Perrone - she was born in Giusvalla, but on the outskirt. Margaret Perrone: On the suburban. Frazier: Were they married before they came to this country? Margaret Perrone: All the children were born in Italy. Margaret Perrone: All the children, yes. Frazier: How many were there in your family? Frazier: Seven. Do you remember your grandfathers' or your grandmothers' names? Frazier: I guess they didn't come over to this country, did they? Rocco Perrone: No, they didn't come over. Frazier: Mrs. Perrone, were you born in this area? Margaret Perrone: I was born in Italy, too. Margaret Perrone: Yes, but a different town - different town. Margaret Perrone: I was further north. My husband in Giusvalla, is a town that's close to Genoa, but I was born north, more northern, towards France, and my town was Alessandria. Rocco Perrone: Not far from where Mrs. Leto was born. Rocco Perrone: Went back to Italy probably. Margaret Perrone: But she is - her parents are from the same parts as I am, she's from my town. Frazier: Now when you lived in Squirrel Run, was there a house number or a street? Frazier: No numbers, no streets? Rocco Perrone: Never on the street. Margaret Perrone: No, no street either. Rocco Perrone: There was a little creek. Trolley car, Rising Sun trolley car - it's right here, see it? Rocco Perrone: And this creek...I showed you on the other one. Margaret Perrone: Yes - and that's how I know Squirrel Run and knew all these people. Frazier: Yes, I guess you do, I guess you remember them all. Margaret Perrone: Oh yes, many of them have come to Kennett Square since, you know and I've seen them grown up and everything, knew the families and all. Frazier: How big was the village, do you remember - about how many houses? Margaret Perrone: Well, they had - the houses were made in a row, one after the other, about - I would say 6-7 houses long, and then on the other side was another house - other houses. Margaret Perrone: Back-to-back, yes. And there was another six or seven families around the back there. That was on one side of the creek. And then there was the creek in the middle, then on the other side there was another small unit of houses that families lived in on the other side of the creek, so it wasn't very big. Margaret Perrone: No, I would say - what would you say - well they all had quite a family, quite a few children in the families, you know - the Pacino's are a big family. Margaret Perrone: Yes, and Catalina too. Frazier: About 25 or so? Rocco Perrone: Oh, there was more than that. Rocco Perrone: About thirty, thirty-five houses I would say. Margaret Perrone: Oh yes, I would say the community was about a hundred people, don't you think, Roc, altogether? Rocco Perrone: Well, close to it. Margaret Perrone: Yeah, there was a couple families of Irish people, the - what was the girls' names on the other side of the creek? Margaret Perrone: Megonigal, yeah, they were there, and then most of them were Italian, and most of them were Italian of the northern Italian, you know, from Genoa up that way. And these people that you see on the picture, on that picture - they're mostly all came from Italy from practically his town. Some of them were from my town, 'cause our friends were from the same town as ours. See, the mother went to school with my mother in Italy. So, in other words, they always kept very close. Frazier: In some of the explosions, yes. Margaret Perrone: Yes, in the explosions, yeah. Rocco Perrone: In 1913 there was 35 boys killed at one shot, one time. Frazier: One explosion? Well, that's a lot at one time isn't it? Transcript: Frazier: Now the seven, seven of the children and your two parents lived in Squirrel Run? Rocco Perrone: Yes, we all lived there together. Frazier: How big was the house? Rocco Perrone: Well, it was two story, there was two rooms upstairs, and one big room downstairs. Margaret Perrone: One big room downstairs, there was a kitchen, everything was just one room, and they had, you know, the potbelly stove and I remember that, although he lived on the other side of the creek. Where I stayed, we were on this side of the creek. Rocco Perrone: Yes, I made this plan here - this is the trolley car going up there. Rocco Perrone: Rising Sun - then here's the bridge, now come across here, we lived down in here someplace - where this arrow is. And there was a Pacino, there was Merenco. Frazier: These are the families? Frazier: That's up near Free Park, in that area? Margaret Perrone: We used to - when I wrote to my friend, it was posted Henry Clay Post Office. Margaret Perrone: Down in there. Rocco Perrone: That was the first office in there. Rocco Perrone: Right close to the track, the trolley track. Margaret Perrone: This is his mother, his mother and father are up here on the steps. This is when they got their citizenship, wasn't it, Roc? Frazier: Those pictures, the Museum probably hasn't seen, they might like to have copies of them, perhaps. Frazier: Because they would be very interesting in the families. Frazier: Montchanin - pupils and their families come for a - that's where they got their citizenship? Margaret Perrone: Well, see, after they lived - after Roc lived in Squirrel Run, then they went to Montchanin, and this is Montchanin here. Now in Montchanin, the families - there were Italian families too, but mixed, some southern and some northern. Margaret Perrone: Most of them, most of them did, yes. They didn't go into the powder works and places where Roc was in Squirrel Run. Frazier: Yes. I interviewed a woman, Rose Murabito, who worked at Hodgeson's Mill, but her father worked in Wilmington, I think. He was never associated with Hagley, and she lived on West 7th Street all her life, that was in Little Italy. Margaret Perrone: I see, yes. And, of course, Roc worked different places while he was learning his trade - see he learned his trade with Henry du Pont. Frazier: But your father was a stone mason? Margaret Perrone: Father was a stone mason, but Roc was a carpenter. Margaret Perrone: Cement or plastering or anything. Rocco Perrone: Whole house and did all kind of work in the house - he could do carpenter work, too. Rocco Perrone: Well, he worked for a Frenchman at first before he went to Colonel in Rockland. What was his name, now, oh boy, I don't remember that name, but I know where they lived - on the right lane - from Montchanin going down to Rockland, they were on the right side. From their place, you could see the Brandywine Creek. Then he left there, didn't get a little [slack?] there, he went and worked for Col. H. A. du Pont, he worked for du Pont for thirty or forty years. Margaret Perrone: Yes, until he was retired. Rocco Perrone: There he is up there [noise as papers moved about]. Frazier: Oh, yes. Isn't that nice. That's wonderful to have that. Rocco Perrone: This is my father [more noise]. Frazier: Well, let's go back to your home, then, because what we're mainly interested in is how the families lived. And the best way to get the history is to talk to people who lived there, because it's just wonderful to be able to find people who remember. Rocco Perrone: The houses were more or less built all the same, one big room downstairs, then two bedrooms upstairs. Frazier: M-huh. Have you been up to Blacksmith Hill at Hagley and seen the Gibbons House up there, which is the powder foreman's house, since it's been open to the public? Margaret Perrone: No, we planned... you know we went to Mrs. Crowninshield's house. Margaret Perrone: Now Roc worked there. Rocco Perrone: I did all the cornice work on the outside. Margaret Perrone: All the cornice work on the outside, he did that. Frazier: Oh, my goodness, that's wonderful. Margaret Perrone: Yeah, we went up there last year, first time I was there. Frazier: That's a beautiful place, isn't it? Margaret Perrone: Isn't that beautiful. Frazier: Haven't they done a beautiful job with that? Margaret Perrone: Yes, they did. Rocco Perrone: And my father did - oh, they used to have a lot of - like a sidewalk, then three or four steps, and up again. Margaret Perrone: You know, their floors were all pavement like. Margaret Perrone: Was it tile? Rocco Perrone: I think tile or flagstone, something like that. Frazier: You mean Mrs. Crowninshield's house? Frazier: What were the floors in your house? Margaret Perrone: I guess wooden, weren't they? Rocco Perrone: My goodness - it must have been wood - it wasn't cement. Frazier: Well, in the Gibbons House now, the floor is brick, but we just don't know whether originally it was brick or wood or what. How many sisters did you have, and brothers, I didn't find out? Rocco Perrone: I had four sisters and three brothers. Frazier: Three brothers. There were four girls and three boys. Rocco Perrone: And three boys. And my oldest sister, we were living - then we had moved to Mr. du Pont's Estate, and that was right next to Ms. Evelina du Pont - she was a sister to Colonel, and my two brothers were working for Ms. Evelina, so they asked my brother, oldest one, Lawrence, if he had any girls, any sisters in the house. Yes, we got a sister, she was about nineteen, I guess, if she would work for Henry du Pont. So he brought her up and she had a job there. She worked there for a while. Frazier: What did she do? Rocco Perrone: Like - what they call them? Margaret Perrone: Maid - housemaid, I guess. Margaret Perrone: Then this sister didn't live too long. She got married to one of the Pacino's that came from Italy too, and the flu took her. Frazier: Oh, there were a lot of people that died then. Rocco Perrone: She was expecting, and they couldn't give her no medicine. Margaret Perrone: All the pregnant women that were in Squirrel Run, all died. Frazier: All the pregnant women in Squirrel Run died - that was 1918, flu. Margaret Perrone: In 1918, yeah, 1918 flu. Frazier: Oh, that was too bad. Transcript: Frazier: How long did you live there, at Squirrel Run? Rocco Perrone: Well, we only lived there about seven months, because then we had to move. Frazier: Oh, you had to move. Rocco Perrone: When my father got a place from Colonel to live on the Estate, and we moved there. Margaret Perrone: Was that on the Pike here? Rocco Perrone: On the Pike, right next to Ms. Evelina du Pont, on the Kennett Pike. Margaret Perrone: There on the Kennett Pike. Rocco Perrone: No, on Kennett Pike, then from the Kennett Pike, in '21 they moved to Montchanin. Frazier: Oh, 1921, and that's when the powder mill closed. Margaret Perrone: Almost everybody had left Squirrel Run. I know that my friends are living - well, they bought a house on West 9th Street, near St. Anthony's you know, the street above St. Anthony, and the daughter is still living there, of course the old people have died, but the daughter, who's about my age, is still living in that house. And most everyone else came all around there, around St. Anthony. It seemed as though they all sort of flocked, you know, together. See, I'm a Philadelphian, I'm from Germantown. Frazier: I heard a good story once - my husband and I belong to Friends of Italian Culture group in St. Anthony's and one of the women we went on a trip with was that she had T.B. and had to go out to Arizona - this was like back in the twenties, or thirties, probably. And she got out there and she said to whoever she was staying, "Well, where's the Italian section?" And they said, "We don't have any, it's only in the East that people congregate like that." Margaret Perrone: We went to Arizona a few years ago, my grandson was in the Arizona - in Phoenix, Arizona, he was in the college there, and he got married and we are his godparents, so we went to Arizona and saw - we didn't see any real Italians - there was no clique like there are in the other places. Frazier: Yes - in the East, very much. Well, let's go back to your - what you remember about your family life in the area. The children all had different chores to do during the week - can you describe a typical day for yourself when you were a child? Rocco Perrone: Well, the only thing - I could figure playing when we moved into Henry du Pont's place, he gave me 176 roosters to raise for him - Rhode Island Reds. And they had built a new chicken house and also six horses to feed every morning, noon, and at night before I went to school. Frazier: Now he paid you for this, didn't he? Rocco Perrone: No, I didn't get no pay. Frazier: No, you just did it? Rocco Perrone: We did it. And so one day, they brought me a load of green corn and had to shell it by hand, so you know what it is. I had callus on my hands, I couldn't hardly move the hand. Mr. du Pont came around and I went over to him, I said, "Look at my hand, Mr. du Pont, I can't shell no more corn for the chickens." "Oh my, my", he said, "Why didn't you tell me that before?" I said "Well, I did it as long as I could, but now I can't do it no more." He said, "You go to school, when you come back, you'll have a machine here to shell corn and another load of corn." Rocco Perrone: When I came back from school, he had it there. Margaret Perrone: And they went to St. Joseph on the Brandywine. Frazier: Yes, I was just going to ask you where you went to school. Margaret Perrone: Yes, they went to St. Joseph on the Brandywine. Rocco Perrone: Walked? Yes - we used to pick up a ride now and then. 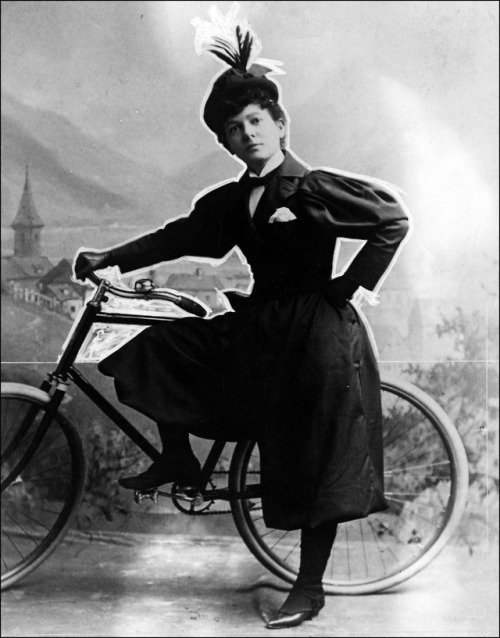 Margaret Perrone: And then - did you have a bicycle at that time? Rocco Perrone: No, we couldn't afford one. Margaret Perrone: Didn't have any bicycle - oh well. Frazier: When you lived on the estate, how big was your house? Rocco Perrone: Oh, there was - one, two, three - three bedrooms, no bath, and there was a back - like a double kitchen, one in the back and one on the side, and the pump - hand pump - was on the little platform. Frazier: They'd stand and talk. Margaret Perrone: You would stand there and talk and there was - he said there was one pump on the other side, but I never went to the other side, I just went to the pump that was closest to my friend. My friend lived on the very end house and the pump was right near her. Frazier: What was her name? Margaret Perrone: DiNicoli. Well, they say Dinacola, but it was DiNicoli. Rocco Perrone: They used to have a fish store on King Street. Margaret Perrone: Yes, but that was after they came out of Squirrel Run. While they were in Squirrel Run, they didn't have anything, they were just laborers. But then they came out to Wilmington and they had this store. Rocco Perrone: I come across - here's all the names I gave to - oh what's her name? Macalina. Frazier: Now she's the one connected with the Italian group? Frazier: These are all the residents of Squirrel Run? Frazier: I'd love to have a copy made to take to the Museum. Could we do that sometime? Rocco Perrone: Sure. I thought I had a copy made. Rocco Perrone: I gave it to her, though. Rocco Perrone: Gave her one, and this is the only one I got left. Margaret Perrone: You had this made and you had all the names down here, you see. Rocco Perrone: Well, I can have a copy made of this and...leave me your address and I can send it to you. Frazier: Be happy to - be happy to pay you for it. Rocco Perrone: No, that's all right. Frazier: That would be invaluable, that kind of information, to have all the residents. Rocco Perrone: The whole families and the children's names. Rocco Perrone: John Morenco, Victor Pesce. Margaret Perrone: In this one place, this one picture. Margaret Perrone: We were so happy to see it when it was made so big because you can actually tell the people. He could pick put his mother and father and his sisters. Frazier: Let me read the title of that book, perhaps it's still available, it's called "Pockets of Settlement, the Italian-American Experience in Delaware" and it's published by the Italo-Americans United, Inc., Post Office Box 2534, Wilmington, Delaware, 19805. Perhaps if we wrote them we could get a copy of that. Rocco Perrone: I think you could get one. Frazier: You had a larger house, then, when you lived on the du Pont estate? Rocco Perrone: Oh, yes, much larger. Frazier: More bedrooms and everything? Rocco Perrone: Three bedrooms - three bedrooms and downstairs there was a great, big living room and kitchen, and a kitchenette. Frazier: Who was the first one up in the morning, your mother? Rocco Perrone: Oh my mother - father. Rocco Perrone: Yeah, because he went to work and he got up and got breakfast ready. Frazier: He went to work. Oh, for everyone? Rocco Perrone: For the whole bunch. Frazier: What did you have for breakfast? Frazier: I guess with all those chickens, you would, huh? Rocco Perrone: Well - they were all roosters [laughs]. Frazier: All roosters, that's right. Rocco Perrone: And by the way, when the flu came, my father didn't have no egg to make any broth, he killed a few of them. Rocco Perrone: And he told Mr. du Pont about it. He say, "Oh Tony, don't worry about it, forget it, that's okay that's all right." He didn't charge him anything for it. Rocco Perrone: We walked to school. Frazier: Did you take your lunch with you? Rocco Perrone: Yeah - oh yes, we brought lunch all the time. Frazier: What did you take for lunch? Rocco Perrone: Cheese, you know gorgonzola - that bleu cheese? Transcript: Frazier: Where did your mother shop, did she shop in the area? Rocco Perrone: Nope - Daddy and I used to go to Wilmington to shop, and come back on the Rising Sun trolley car and then walk the rest of the - we walked about three, three and a half miles. Margaret Perrone: Well, you'd go into - what's the name of that street there that the Italians are on? Rocco Perrone: No, we used to go on Market Street - down in Wilmington. Margaret Perrone: Oh, did you go all the way downtown? Rocco Perrone: We got on the trolley car and went all the way down. Rocco Perrone: Why we used to spend ten or twelve dollars and both were loaded. Frazier: You did that once a week? Rocco Perrone: Once a week, yeah, on the end of the week, on Saturday night. And then there was a man from Centerville had a store there, used to come around with a - he was like a huckster, he came around. Margaret Perrone: I think this place is still there - that Centerville. It's a great, big place that was for rent for such a long time. Rocco Perrone: Well, the place is there, but it's empty. Margaret Perrone: Oh, yes, it's empty, it's empty. yeah. Across the street from the bar right in the middle of Centerville. I don't know if you know where Centerville is. Frazier: I know Centerville, yes. Rocco Perrone: Connor, his name was Connor, Mr. Connor. Frazier: Well, that was quite a distance. Frazier: Oh, he came, he was the huckster. Rocco Perrone: He was a huckster. Frazier: Of vegetables and fruit? Rocco Perrone: Everything, meat, anything you needed. And we only paid once a month because that's the way Colonel used to pay the men, once a month. And he charged us for all those days. Frazier: Did you have an ice box? Rocco Perrone: Well, just ice, but no refrigerator. Margaret Perrone: Oh, in an ice box, sure, and ice box. Frazier: And the iceman, did he come around? Rocco Perrone: He'd come around, yes. Frazier: How many times a week? Rocco Perrone: I think it was twice a week he came around. My, that was the old time. Frazier: That was the old time. Did everybody - did all the children have chores to do? Rocco Perrone: Well, some did, not all of them. Rocco Perrone: Yeah, I took care of the horses and the roosters. Rocco Perrone: Well, Mother would tell us what she wanted done and we used to do it. Margaret Perrone: They always had an old garden, you know, had vegetables and stuff in the garden. Frazier: Now what time did you get out of school, do you remember that? Frazier: And did you have work to do after school? Rocco Perrone: Oh yes, I had to shell all the corn, and feed my roosters and then I had six horses to feed. One time I played hooky, I didn't go to school because I had, like bronchitis, so I told Mom, "I'm going to feed the horses." And I snuck the skates under my overcoat, then I went down to Ms. Evelina du Pont's pond and skated down there with the other boys. And what happened, the ice broke and I went down. Rocco Perrone: Oh, my Lord. I made a fire, tried to get dried up, but I'd freeze in the front and dry in the back. So it came to me, I went to the neighbors - Frank Rossino - then he moved to - up - what's the name of that place up there - Boothwyn. But he was working for Ms. Evelina du Pont, so his wife said, "Oh, what'd you do, Rocky, did you fall in the water?" "Yeah, and the ice broke." So she gave me a pair of pants from her husband and a shirt and I took my old clothes, when I went home I just hid them. Rocco Perrone: Didn't know it right away, but after a while my mother, she found out, because she found the pants and the shirt all getting moldy, you know, they dried up slow. I told her then. Frazier: You never forgot that, I guess. Rocco Perrone: Never forgot that, oh my goodness. Margaret Perrone: And another thing, his cold went away. Rocco Perrone: I had such a cold that I stayed home. Margaret Perrone: He had a bad cold, you know, he stayed home from school because he had like a bronchitis. Rocco Perrone: I don't know if I - because I got scared or what. Margaret Perrone: Scared I guess. Margaret Perrone: And what did they pay you at that time. What did you work for? Rocco Perrone: Oh, in summertime we used to work for Henry du Pont pulling wild mustard and dandelions, all bad weeds in the cow pasture, with a [matic?]. We were about eighteen boys - fifty cents a day. We used to bring home nine dollars a month. The first check, I gave it to Dad, he said, "No, you give it to Mother, she'll take care of it." Frazier: I'll bet you were proud. Margaret Perrone: You know, his mother lived to 87 and his father died at 85. Rocco Perrone: Yeah, 400 South Union, they bought a house there. Margaret Perrone: And that's where they lived. Rocco Perrone: Then, I built them a new home up on Gray Avenue. Margaret Perrone: That was up towards where the Three Little Bakers have their shop, you know, on Lancaster Pike. Rocco Perrone: On the Lancaster Pike. Margaret Perrone: Right there on Gray Avenue, he built a home for them. Rocco Perrone: A two-story house, an apartment upstairs, and downstairs - they could live downstairs. Margaret Perrone: But just imagine, at that time, his father came - well, you came in 1913, but your father was here already. Rocco Perrone: Oh yes, he came here in 1909. He was here before. He made about three trips. Margaret Perrone: He was here in 19 - imagine this, he was here in 1904 when my father came from Italy, and went to Wilmington. And went to Squirrel Run and met his father - at that time they didn't know each other because they were from different parts of Italy, but he learned - my father was a stone mason, too - so they worked together. But then my father went to Philadelphia, he didn't stay in Squirrel Run very long, he went to Philadelphia. And imagine after all those years, in 1926, we got together and got married in '27. Frazier: Isn't that something. You were living in Philadelphia all that time? Margaret Perrone: Yes, living up in Germantown. But the fathers knew each other from 1904. Frazier: Those things happen sometimes, don't they? Margaret Perrone: Oh my goodness. Frazier: How did you get down to visit when you came down? Margaret Perrone: B & amp; 0 Railroad, you know, it would let us off there in Wilmington. Margaret Perrone: Delaware Avenue, then we walked over to Ninth Street. Frazier: Would you take a trolley up to Squirrel Run? Margaret Perrone: Well, - oh, you mean when we went to Squirrel Run? Frazier: When you - yes. Rocco Perrone: Rising Sun Trolley. Margaret Perrone: Rising Sun Trolley, and got off way at the end, which was Squirrel Run. Frazier: That must have been a nice trip. Margaret Perrone: Oh, in the summertime especially, it was like a scary trip because they went so fast and the trolleys were open, not the closed trolley, it was an open trolley. It used to scare me [laughs], but we got there just the same and I spent a number of years - three or four years anyway during the summer, one week during the summer. And back of Squirrel Run it was all woods, you know, it went up like that and it was all woods. We used to go up in the woods and play, yeah. That's where I met all the kids. At that time, which are now grownups, in this picture here. Transcript: Frazier: Somebody else who was interviewed - I read an interview with a Mr. Bruno - he said the boys used to gather in Squirrel Run and watch the men play bocce. Margaret Perrone: Ah yes, I wouldn't doubt, they all used to gather - we had at one time or another, they even made a platform up in the woods - you know, a wooden platform so we could dance - oh I was great for dancing, loved it. Frazier: Now what - did they have a band or something up there? Margaret Perrone: Oh no, the accordion. Margaret Perrone: Yeah, this, [Fortinin?] they used to call him, a man that finally he went back to Italy, didn't he, Roc? Frazier: This was in Squirrel Run? Rocco Perrone: When Mary Pachino was born. Margaret Perrone: No, it's not Longwood Inn - I forget what they call it. Frazier: It's up on Route 1. Margaret Perrone: Anyway, she came to Wilmington - to Kennett Square with her family. They're all in here and they had mushrooms and everything too, and grew up here. Rocco Perrone: This Pachino she's telling you about, used to live right next to us in Squirrel Run. Margaret Perrone: And when we went there for this christening, they took everything away, you know, piled up the chairs, and this man, this, that played the accordion at the time, would go on the table, on the side, he would be on the table playing while we danced around him. [laughs] Imagine, all these people get together on a - usually it's a Sunday, you know, they baptize on the Sunday, and so that's where we were. I can remember that. Margaret Perrone: Birthdays, we always had birthdays - the different children. And we'd go up in the woods again and just play. I don't know what else - what we did exactly, but that's where we used to go, up in the woods. Rocco Perrone: While we were coming up, growing up, every weekend they have a dance, different families. One week be at your house, next week be my house, next week at her house. Frazier: They go around to the different houses. Margaret Perrone: Yes. And then there would always be singing, the Italian songs, you know, country songs. And that's when everybody would chime in, and oh my, just loved it. Frazier: You didn't go down to Breck's Mill for any of those activities, down there? Frazier: That would be too far away, I guess. Margaret Perrone: No, we never went - just stayed there. Frazier: Just stayed in the area. Margaret Perrone: Yes, if it wasn't in one of the houses, why it was in the woods, we'd go to the woods. I can still see going to church, then of course, on Sunday I would always go to church and we'd go to St. Joseph's and sit up in the choir loft, usually, because the kids used to go there to sing, you know, so I would go up in the choir loft with them, yeah. Margaret Perrone: Mostly visit, it was always dressed up. The children would always dress up - in the summertime with white shoes and white dresses and everything - it was always a big day and we'd go visiting, one to the other and be around and just - playfully, you know, that way. Margaret Perrone: Biscotti we called them, you know. Rocco Perrone: They're little, little biscuit, they're oblong, about that long. Margaret Perrone: They were pretty well - had everything, you know. And then of course, drinking, well the children had lemonade usually, they had lemonade. Of course the men would have their beer, the beer men used to come every Saturday to bring the beer. Frazier: Oh, they brought it around? Rocco Perrone: Oh, yes, he had horse and wagon. Rocco Perrone: With a wagon, yeah. Frazier: And wine, you made homemade wine - did you? Margaret Perrone: Oh yes, they made different wines. Rocco Perrone: They didn't bring no wine, they didn't sell no wine. Frazier: No, I mean the families. Rocco Perrone: Most of the families have their own wine. Rocco Perrone: Leather apron, yeah. Margaret Perrone: Apron on, because, you know, to carry the things up like that. And they came up to Kennett Square, too, and they went into the mushroom business, Dave did. Course Pete, Pete didn't go into mushroom, did he? Margaret Perrone: No, Pete, one of the brothers lived here on the Miller's Hill and - in fact my daughter married his grandson, so my daughter - one of my daughter's name is Passano. In other words, I saw them when they were young, and then of course, as the years go by, you see the two people getting together, yeah. Frazier: Several of the other women I have interviewed said their mothers took great pride in their linens and serving with nice china when they had parties around at the different homes, do you remember that? Margaret Perrone: Oh, yes, and their bed linens too. Bed lines were always something - that is a way in Italy. When a girl gets married, she gets all this trousseau, you know, that they give. And it's usually the bed linens, table lines, things like that. Of course, they were very inexpensive at that time, but that is something that the Italians pride, the bed and table linens. Margaret Perrone: Because I know from my own experience, from my mother, too, brought over when she came. She had her linens with her, with her name embroidered on it. Frazier: Did you have feather beds? Margaret Perrone: We did, I did. Rocco Perrone: The three boys slept in one big bed. And the girls, two or three girls in one bed, yeah. Then they had cots. Frazier: Do you remember feather beds, I mean, you do? Rocco Perrone: Corn husks [laughs]. Margaret Perrone: Yes, but then the feather bed would be on top. We didn't have inner spring mattresses like we have today. Rocco Perrone: No, I don't remember that. Frazier: With the church or something? Margaret Perrone: Embroidery - even the girls, even the little girls used to have - we always embroidered something, we always had something to do. Rocco Perrone: Yeah, but did they have a party like, or a meeting? Margaret Perrone: Well, in their way, they got together, that's where they socialized - and Sunday especially. Course during the week they were always busy doing something. Margaret Perrone: Between washing - and they had to wash with the - you know, bring their water in and then do the washing and all like that. And with just the round tubs in the kitchen, that's how they washed. And of course, at home we used to have a boiler - what we called a boiler, you know, it's a tin round thing and we'd put the clothes in there to boil up, yeah, to steam. Rocco Perrone: And they used wood ashes for bleaching - wood ashes. Frazier: Yes, I have heard of that. Transcript: Frazier: Well, the children went to church on Sunday, did they have any socials or any groups connected with the church - with St. Joseph's that you remember? Margaret Perrone: Not that I remember, no, I never remember them having any affairs, like on Sundays. Frazier: Or other days of the week? No? Margaret Perrone: No, but see it was quite a walk up there, quite a walk. Frazier: Yes, it would be. Now, you said birthdays were very important. Margaret Perrone: Oh yes, I think we celebrated everybody's birthday that was there. Frazier: In your family, Mr. Perrone, birthdays were celebrated? Rocco Perrone: Oh yes, they always celebrated the date. Rocco Perrone: That was a big day - big holiday. Rocco Perrone: Well, we did when we were down du Pont's, we had a tree. Then Mr. du Pont used to come in and invite us - all the tenants - to go up to the mansion. Margaret Perrone: At the Winterthur. Frazier: All right, now tell me about Christmas at Winterthur. Rocco Perrone: At Winterthur. He had a thirty-foot Christmas tree. Mr. Henry du Pont, and Mrs. Crowninshied - the sister - and Colonel, they used to come down and pick our presents and bring them over. They had benches all around the place, the room. And brought each one a present. Frazier: What were some of them, do you remember? Margaret Perrone: Pretty good sized ones, huh? Rocco Perrone: Yeah, good sized sleds. Oh, I remember those because we used to use them more and more. Frazier: Oh, that was some nice gift, wasn't it. Margaret Perrone: That's what I mean, they gave you good gifts. Rocco Perrone: Well, for Mr. du Pont, wasn't too much. Was just like us giving five cents to someone. Rocco Perrone: They were good old days. Frazier: You've been to Winterthur since it's been a museum? Margaret Perrone: Yes, we've been to Winterthur several times, and in fact when Roc went in the entryway downstairs, they were telling us where to go, and he said, "Oh, I've been here long ago." [laughs] "I know exactly where to go." Margaret Perrone: And the lady said, "Well, if you know so much about it, maybe you ought to be in my place." Frazier: Where did you learn your trade? Rocco Perrone: From Col. H. A. du Pont. Frazier: From Colonel du Pont. Rocco Perrone: Yeah, Mr. Ferguson was the carpenter - see they had a gang of plaster men, they had a gang of stone mason, a gang of carpenters, plumbers, electricians. Rocco Perrone: The stone - the wall and everything, it's all concrete, a foot thick. Rocco Perrone: And they didn't use no machine to mix the concrete, mixed everything by hand. Rocco Perrone: And carried in buckets and dumped it in the form, yeah I've saw that. Margaret Perrone: And Roc did a lot of furniture fixing. Rocco Perrone: Oh, for Mr. du Pont, yeah. Used to come from Marblehead, Massachusetts, sometimes would be broken on the way while it was delivered, and we have to mend it up to the carpenter shop, I fixed quite a few pieces. Frazier: Now where did you work - you said the carpenter shop, where was that? Rocco Perrone: Over the coach stable, the carpenter shop - the stable was underneath and you went in the back - see, the hill was like this, so the stable was down below and above we had the carpenter shop up there. And we used to fix furniture up in there. Frazier: That was at Winterthur? Rocco Perrone: Not too far from the greenhouse. Margaret Perrone: Greenhouse, I was gonna say, from the greenhouse, yeah. Rocco Perrone: Because, when we went to Winterthur that time, I showed you, I said, "That's the carpenter shop I used to work in." The carpenter shop was about here, and we came down that way and up the mansion. Frazier: Do you remember the powder mills at all, or were you too young? Rocco Perrone: I remember just slightly because sometime I used to bring lunch to a fellow who used to board with us, by name of Edward Zernino, and he worked in the powder yard. And sometime the store man didn't come early enough so my mother couldn't make the lunch for him and I used to take it down to the gate house, right back of Flea Park. Frazier: Yes, that's Blacksmith Hill. Do you remember any of the explosions? Rocco Perrone: Oh, I remember that one when 35-37 boys got killed, 37 people got killed anyway at that time. Margaret Perrone: That was about, then when you were there in 1913. Rocco Perrone: 1913, yeah. Oh, that was terrific. They found pieces of body all over, pieces of bones, arms, legs here and there. Frazier: Do you remember where the Seitz sisters lived on Blacksmith Hill - did you ever see that house? It's the Sunday School, the Brandywine Manufacturer's Sunday School? Rocco Perrone: Brandywine Sunday School - no I don't remember that. Frazier: No - well, it's below Free Park. Rocco Perrone: Well, it's what they call the Christ Church? Frazier: The Christ Church is up above that, yes. Rocco Perrone: Up above - I went up there a couple of times at Christ Church - we were invited. My brother worked for Mrs. Evelina, she used to give him tickets and we'd go there for a supper sometimes, yeah. Margaret Perrone: Tree surgery and everything like that and he worked for the different du Ponts, and the last one was Ernest du Pont that he worked for. Rocco Perrone: Yeah, he worked for Lammot nine years. Margaret Perrone: Lammot, and then Ernest. He was in business for himself then finally. But he was 88, was he, when he died several years ago? Frazier: Were you the youngest? Rocco Perrone: I'm the youngest one, the only one living. Margaret Perrone: Youngest boy. Youngest boy, but then the girls are all after, except the one that died with the flu, she was the oldest, but he was the youngest of the three boys. And Paul, the second one, he worked for du Ponts too, he worked for Evelina while he was a boy, young boy. And then he went into the machine shop, you know, the DuPont Machine Shop? Rocco Perrone: That's right below Squirrel Run. Margaret Perrone: Right there — all these years, I forget, forty— five years I think, until he was pensioned off. And he was — what — 83, 84, when he died. Margaret Perrone: Eighty-four - they all became quite elderly. Transcript: Frazier: Do you remember any stores — did you - do you remember Frizzell's grocery store? No, that was in Henry Clay. Taverns — were there taverns? Rocco Perrone: There was a tavern in Henry Clay, a tavern there. Margaret Perrone: There was a store in Squirrel Run by the name of Catalina - Catalina — and they were on the very end. See, my friend was on this end, and they were on that end. And I used to go there quite often, because naturally, with pennies you could get everything there. Rocco Perrone: Yes, Catalina store right there — here's the bridge, Catalina store right there. Then Catalina up here had a stable. Catalina barn where he kept the horses. Frazier: Right near the trolley line. Margaret Perrone: Now Mrs. Catalina was from our town in Italy, you know, and her husband, I think, he was a Sicilian or a Sardinian or something, but I mean he was of the southern parts, but they had a family of six, about six children. Frazier: Was it a general store, you could buy anything there? Margaret Perrone: Yes, general store, had everything in there, yeah. Frazier: Do you remember any fairs or picnics or festivals, community type? Margaret Perrone: Well, they used to have some picnics, while I was there, we usually went in July or August, and that's where we went, in the field, in the woods. And that's where I met, and remember, a lot of these people. Because, you know, they all went up there and dancing and singing, and all. Rocco Perrone: That's where they played bocce. Margaret Perrone: And they played bocce up there too, and a lot of those people that were young at that time, you know, sort of eighteen, twenty years old, because one of the girls that my friends was an older person, then there was the one that was my age, and we used to all gather together and have a good time there. They'd bring sandwiches, you know, food like filled peppers, that's something I remember, and all kinds of cheeses and salami, and things like that. Had a regular good time. Margaret Perrone: Yes. There's Lucy Perrone - she wasn't a Perrone at that time. What was her maiden name? Margaret Perrone: Grecotti, yeah. She had a brother and two sisters. And she was just a young woman. And like that Mary Perrone that you said — well she used to be a young lady at that time. See, she's older than I am, so she used to be a young lady when I was there, and they were all single at that time, but then we met them when they were — after they were married and most of them came up here, came into Kennett Square. Frazier: Now these people that lived there, they rented their houses, didn't they, in Squirrel Run? They didn't own them? Margaret Perrone: They didn't own them, no, no, they were rented. Rocco Perrone: Everything was rented from DuPont's. Margaret Perrone: I don't know — was very little rent, very little rent. No, when they felt that they wanted to buy their home, you know, to have a home of their own, that's where they went, in Wilmington. Right around that section that I tell you, St. Anthony section. Frazier: Yes, St. Anthony section. Margaret Perrone: That was our people there. Frazier: Where were the toilets — they were outside, weren't they? Rocco Perrone: She didn't want to hear it [laughs]. Frazier: She still remembers it I guess. Rocco Perrone: Oh, that's gonna go on this [laughs]. Margaret Perrone: Well, they used to do their own sewing. I know that the lady, a housewife where I went, used to do a lot of sewing for their - that's why they kept so busy, you know, between their little garden in the summertime and doing their own chores like that, sewing, they were always busy. Frazier: Did your mother have a sewing machine, Mr. Perrone? Margaret Perrone: Yes - yes. Rocco Perrone: Oh yes, yes. Margaret Perrone: She did because you wrote a card to me on the sewing machine [laughs]. Rocco Perrone: You remember, huh? Margaret Perrone: I remember, See, we didn't go, for many years before we were married, but I did meet him when I was 17 and he was about 20 at that time because - well, 19, because we're two years apart, and he was at his cousin - Dave Perrone was one of them here, he's dead now, but his family married — he married the older sister of the people that I went to. And so it was like a friend of mine, a good friend of ours, and Dave was his first cousin, so they were married in 1922, I guess it was, yeah around that time, and he came to the wedding with his father and mother and sisters because it was their cousin — their nephew rather — and I came to that wedding, came to Wilmington to that wedding because of this friend that was getting married. So that's where we met. Frazier: That's where you met. Margaret Perrone: First time that we met, and we used to see each other once in a while after - on picnics when I used to come to Wilmington. And then he came to Philadelphia several times on picnics — Italian picnics you know, that we would have. And then for years I didn't hear from him anymore, but I did get this one — after one of the visits, he did write me a letter — a card rather - that he was writing it on his mother's sewing machine [laughs]. Margaret Perrone: I wish I had that card now. Frazier: Yes, you should have kept that. Margaret Perrone: Should have kept it, but that was years before. But then he came to Philadelphia to work on the Germantown Hospital, I guess you've heard of Germantown Hospital? Margaret Perrone: Well, as a carpenter, he came to Germantown Hospital to work, and he lived with a cousin of his and that's when he came up to visit our family. In fact I was down at the shore at the time and my brother brought him down to the shore, so we went with each other after that. Rocco Perrone: Yes, I went to Germantown working for Irving & amp; Layton. I worked for them in New York, New Jersey, Delaware, all over. And then we finished the Delaware Hospital, after the hospital, we went up the DuPont Building, put that new addition in the back on the west side. After that they were going to send me to Pearl Harbor. I went home, I told my wife about it, she said, "Oh no, we got five children, we can't be traveling." Well, I didn't go. So one Sunday we were at St. Anthony's — we had a banquet there, the Sons of Italy had a banquet there, and we were there — around two o'clock it came over the news - Pearl Harbor's being bombarded by the Jap - she said, "Now, you see." Frazier: Oh my goodness. Yes, good thing. Frazier: Good thing you didn't go. Rocco Perrone: Yeah, we were supposed to build a five million dollar pier out there. Frazier: You would have been right in the middle of it. Rocco Perrone: I would have been right there where they blew it all to pieces, yeah. Transcript: Frazier: How long have you lived up here in Kennett Square? Margaret Perrone: Since 1932 — 52 years. Frazier: It's a lovely area, isn't it? Margaret Perrone: Yes, 52 years. Although we didn't always live here, we've lived in this house 20 years, and we lived out where the — I don't know whether you know where the Italian— American Club is? Margaret Perrone: Don't know, well, we lived in that area first, we bought a little farm and lived there for quite a few years - raised all my children there — five girls. Margaret Perrone: Yeah, five girls. Rocco Perrone: You know how we come to be here? Margaret Perrone: Roc, you get mixed up — we came to Kennett in 1932. Margaret Perrone: And we came here in '65. Margaret Perrone: We lived in Wilmington first — I mean, we traveled right away, but in several years, then, we bought a place in Wilmington, out at Cranston Heights, you know where that is? Yeah, well that's where we were, Newport Road. Rocco Perrone: I'm saying - we were there in line, there was about 500 men looking for work, things were slow. Margaret Perrone: 0h, things were bad. Frazier: This was in the '30s. Rocco Perrone: So they hired three men, I happened to be amongst one of the three, so they sent me down — oh what's the hospital on the end of Market Street, you go over that way? Rocco Perrone: No, no, no — when you go down Market Street in Wilmington, go across the bridge and about a couple miles over that way — Farnhurst, is it Farnhurst? Rocco Perrone: All right — I went there to do some work. I was working up 'til twelve o'clock, I went for lunch, when I came back, my tools were gone, somebody stole my tools. I went to the boss, I said, "Look, I can't work, I can't afford to buy tools." So I quit, and that's what made my decide to come up here, in the mushroom business. Frazier: Oh, you stopped being a carpenter, and became a farmer? Margaret Perrone: Even before that, Roc. Rocco Perrone: Then I started to work inside the mushroom houses, I worked through May or June, then I go out again. Margaret Perrone: Then he'd go out, so he was carpenter one time, mushroom over the next time, like that. Rocco Perrone: Back and forth. Margaret Perrone: But we didn't make the money in the mushrooms like most of them did. Because they came earlier, they came in the late twenties, but we came afterwards in '32 so when we, our first crop that we grew, we made twenty— three cents a basket. Rocco Perrone: We averaged 23 cents for a 3-pound basket. Rocco Perrone: You can't grow them for that. Rocco Perrone: So I lost money that year. I lost all of what I had saved up. Margaret Perrone: So then he tried again, he tried again, he had to borrow some more money and tried again, but we just didn't have the luck. Frazier: To grow, as you said, you came in later. Well, let's - going back to when you were younger and in the Hagley area, you said people had gardens. Was it mostly for vegetables, or did they grow flowers too? Margaret Perrone: Tomatoes, a few tomatoes and peppers, but that's about it. That's about what we used to have. Frazier: Did you buy anything from catalogs, like the Sears Catalog? Margaret Perrone: We used to, we used to - we used to buy from Sears, no one else, just Sears we used to buy. And it's funny, we don't do it anymore, we haven't done it for years. Rocco Perrone: Well, no - right close, you can go right to the store and get what you need, right there. Margaret Perrone: But we used to, even when I was a girl, we did until they put a Sears store on the boulevard in Philadelphia, around — they had a big store out there where they used to ship out from that place. It was a magazine, or whatever you want to call it. And then we used to go there, but otherwise we bought everything from the Sears. Frazier: Did you make your clothes, Mrs. Perrone? Frazier: Where did you buy your material? Margaret Perrone: From a Jew that used to come around. Margaret Perrone: Yes, yes, a Jewish man used to come there every week, and my mother would buy all kinds of material. Frazier: Did they have that down here, too, in this area, do you know? Frazier: At that time — can't remember anyone going through Squirrel Run selling yard goods or anything like that? Margaret Perrone: Well, they may have, they may have. And they had people, at the time I was there, this lady, Mrs. DiNicoli bought a rug from people that came in and it was a rug with a big dog on it. Roc, I think everyone in Squirrel Run had one like it. Frazier: He was a very successful salesman, wasn't he? Margaret Perrone: Very good — went all over and everybody had the same thing. I think they did, they must have had people coming in there to sell different stuff. Frazier: How about when you needed a doctor? Rocco Perrone: Oh, we used to get Dr. — what was his name? Margaret Perrone: Rivitti? Rivitti wasn't there then, was he? Margaret Perrone: I don't remember the name, either, the one you had. Margaret Perrone: Well — listen, I think it was Dr. Sam — your mother used to call him Sam - Dr. Sam. Rocco Perrone: Yeah, Dr. Sam in Centerville. How did you know that name? Frazier: Dr. Samuel, yes, I've heard of him. He was the DuPont doctor. Rocco Perrone: Yeah, he was right there on the dividing line, Delaware and Pennsylvania. There's a brick wall now. Margaret Perrone: Yes, yes, brick wall and the house is on the left. Rocco Perrone: On the party line, between Delaware and Pennsylvania. Margaret Perrone: Because you've shown me. Rocco Perrone: Samuel, that's right. Frazier: Did he make house calls? Margaret Perrone: With the flu. Rocco Perrone: Oh, we were about nine or ten in bed. So he prescribed the medicine, Daddy used to get it. But he was a very good doctor. He liked his whiskey. Rocco Perrone: He knew where Pop kept it — in the cupboard, he'd go there and open it up and help himself [laughs]. Get a shot. Margaret Perrone: His people and my people used to have more or less the same idea. They always had whiskey in the house, always like a medicine. Rocco Perrone: Well, my father used to say, "If you want a drink, I don't want you go out and buy it — there's the bottle there, but make sure you know how to use it." We knew what he meant. Margaret Perrone: So none of them were ever drunkards, they never drank much. Rocco Perrone: And nobody in our family drank to — out of the way. Frazier: Well, Dr. Samuel's son is still living. Margaret Perrone: Oh is he? Frazier: He lives down near Newark area. Rocco Perrone: How about that. Transcript: Frazier: Now, on a lot of the pictures that you see of men, and even women in the early 1900's, they wore a lot of hats. Did you wear a hat - did your father wear a hat when he worked? Rocco Perrone: Oh yes, my father had a hat. Frazier: You wore a lot of hats? Margaret Perrone: Yes, they all — and the women, too. Rocco Perrone: And mother, too, had a hat. Margaret Perrone: 'Course when we went to church, we never went without a hat, you know, it was a must, for years, for years. Seems funny now to see anybody with a hat — where then you wouldn't see anybody without. Frazier: How about cosmetics for women? Margaret Perrone: Well, we didn't use much, very, very little. The only thing we used to use was the Pond's cream and — never really went into it — none of us. There was a time when I was growing up that women looked like false faces. Margaret Perrone: They used to put red here and real white, remember? The nose had to be white. Margaret Perrone: Yeah, just like Halloween. Oh, yeah, there was a time. And rats in your hair, you know, put puffs - rats like that. Frazier: How about what would you carry in your pocket - would you carry a penknife and things like that? Rocco Perrone: That's about all. Men always had a penknife. Frazier: Did women carry handbags, do you remember, then? Margaret Perrone: Yes, yes. Usually leather, usually some kind of a leather bag. I don't know what they had in it. Frazier: Do you remember any people — I mean any interesting characters that were around the area that stand out in your mind as being remembered — like — you spoke of Henry du Pont, were there any people that you remember? And you spoke of Dr. Samuel. Rocco Perrone: Well, Mr. Foster, that was a brother— in— law of Colonel. He married Ms. Evelina's sister. Margaret Perrone: Then there was — how about the man that was the carpenter foreman, or the superintendent - what's his name - that lived on the Pike? Rocco Perrone: Oh, Mr. Humphrey. Rocco Perrone: Oh yeah, he was a good man. Margaret Perrone: He had two daughters, was it? Rocco Perrone: Yeah - three daughters, three daughters. Lola, Hazel, and Martha. He was superintendent for Henry du Pont. Mr. du Pont used to do a lot of traveling between here and Marblehead, on a train, and he happened to see some of the buildings that he put up, so then he hired him and he came here and he stayed here until he died. Margaret Perrone: Many years, yes. He had a house there on 52. Rocco Perrone: Humpheries. They used to live two doors down from us. Margaret Perrone: And one thing I remember after I was married, his sister, Roc's sister, Ufemia her name was, married some years after us, I don't remember just what the year was, but when she — when they were going on their honeymoon, we went to Pennsylvania Station in Wilmington and who should we see there, and I was introduced to, was Mrs. Crowninshield. Rocco Perrone: She recognized me right away and she knew my sister, too, because we used to go up at Christmastime, every Christmas. Frazier: She was a large woman, wasn't she? Margaret Perrone: Large woman, real big, she had a big hat on. Rocco Perrone: Well built, but she was big and tall. Margaret Perrone: And well dressed, you know, she was by herself and she was gonna take the train, I think she was going to Marblehead at the time, wasn't she, Roc? Rocco Perrone: Yeah — she was getting on the train. Margaret Perrone: And so she recognized us, recognized his sister and him and that's how we spoke. I had never met her, but I had heard the name because at one time, Mrs. Crowninshield wanted to adopt his crippled sister. Margaret Perrone: The older sister was getting married. Rocco Perrone: Yeah, was getting married, my father had bought some lumber and he was gonna make benches. So the children, on a rainy day, they went down playing there and they were playing around that lumber, they made it fall down, it fell on her, on her back, and from that time on, she never did walk. Frazier: Oh — isn't that too bad. Margaret Perrone: You know, it was a problem that they never had solved, because then the infantile paralysis came. Frazier: Oh, she's the one that had that? Margaret Perrone: The shock from the lumber, or whether it was, then, the infantile paralysis that made it, but she was crippled. Rocco Perrone: We don't know, but that's when she got it. Margaret Perrone: She couldn't walk, she had braces. Margaret Perrone: Wanted to adopt her because they used to take her, through them, they used to take her to a hospital. Rocco Perrone: Mrs. Crowninshield, she used to send a coachman to pick her up every time she had to go to the hospital. Frazier: What was your sister's name? Margaret Perrone: Agnes — Agnes Perrone. In fact, she is one of the — do you know the Mancus Club? Frazier: No, no I don't - oh yes, Mancus, yes. Margaret Perrone: Mancus — she was one of the founders. Margaret Perrone: Miss Wright, who is still now, Miss Wright — W— R— I-G— H— T, and Agnes were the ones that founded this club, and she was secretary for that club for years. And she's a very bright person, very bright. She went through the - well, did she go to St. Joseph, too, then, or not? Rocco Perrone: No. She went to Ursaline Academy. She graduated from there. Margaret Perrone: Ursaline — she graduated there from Ursaline. And then she stayed a number of years without going anywhere as far as college or school. Frazier: How old was she when she contracted polio? Margaret Perrone: Nine years old. Rocco Perrone: Just about nine. Margaret Perrone: And then we got her, we happened to get through somehow, into Temple University. And we took her up there and got her in the school and everything. She couldn't make it. She could not make it. Frazier: Well, that was a lot of effort. Margaret Perrone: It was too hard. Frazier: Would be a wheelchair - today she would have a wheelchair she could get around in. Margaret Perrone: Yes, but she didn't then and she just couldn't make it, she had to stop. But she was always looking forward to someday going into higher education, she was so bright. She knew Latin, she took up Latin, she knew that very well. Rocco Perrone: French, she spoke French. Margaret Perrone: French and Spanish and Italian. Rocco Perrone: Course my mother spoke French too, she was a little girls when she was in France. Margaret Perrone: Went to France, yeah. But she knew all those languages and she was very good in arithmetic and everything. And you know what she used to do to pass her time? Knit sweaters for a big store in Wilmington. I don't remember the name, but they used to pay her so much for a certain sweater. And she could knit anything, anything — any design, anything like that. Really wonderful. She finally — how old was she, Roc, when she died? Sixty-three I think. Rocco Perrone: I don't remember. Margaret Perrone: Yeah, but she went through all that. Frazier: Oh, you took a trip. Margaret Perrone: In 19 - we took a trip in 1972 to Italy and while we were there she died - September 18th, when we were there. Transcript: Frazier: You did go back to visit your home, that's nice. Rocco Perrone: Seventy— two or seventy— three. Margaret Perrone: Something like that — and when I went to my place where I was born, I had a cousin there too, much younger than I, but she was a daughter of my father's brother, so we saw the places where we were born. Frazier: Oh, that's nice, that is great. Rocco Perrone: But it's funny, when we went from Milan to Genoa and through Savona down to Montenotte, and we come to a place, my brother says, "Maybe you ought to take the other road." "Paul," I said, "No. You see the house right there? I think that's where Mom was born." And I drove up in the yard, knocked on the door, I asked, "Was [Talliera?] Rosa born here? Did you know her?" "Oh, yeah, she's my aunt." "Yeah, not only that, she's my mother." Frazier: You found a cousin, huh? Margaret Perrone: Found the place where she was born. Margaret Perrone: Out in the country, can you imagine - you'd never imagine. Rocco Perrone: I was about ten and a half when I came over, and I only had been up there twice. And I had that in my mind, I had all the layout just like these things and I knew it. Frazier: That's wonderful. I was going to ask you when I heard the dog barking, did you have pets when you were growing up? Rocco Perrone: Oh, always had a dog. Frazier: Always had a dog. Rocco Perrone: I got three now. Margaret Perrone: Oh, he's always with these dogs. Frazier: Oh, I love dogs. I have an old, old dog. Rocco Perrone: I have three beagles. Margaret Perrone: He loves hunting and he's always gone out to hunt rabbits, but you know you can't find any now today. Rocco Perrone: By the way, while I was going down this morning, a rabbit came right in the middle of the road and stopped and he four legs up this way, looking around. Frazier: Oh, your parents did it, huh? Rocco Perrone: Our parents [laughs]. Frazier: Your Dad did it. For women too? Margaret Perrone: I guess so. Frazier: Or you did let your hair grow. Margaret Perrone: You know most of them, most girls had long hair. Rocco Perrone: Most let them grow, the women. Margaret Perrone: They let their hair grow. Nobody had bobbed hair at that time. Frazier: No, no that came in later, didn't it? Margaret Perrone: Oh, that came in later. Frazier: Did you have an organ or a piano, or anything like that — any kind of musical instrument? Rocco Perrone: In Wilmington we did, when we went down there. Frazier: Where did you live in Wilmington? Rocco Perrone: Four hundred South Union. That's my parents' place. Frazier: Was that below Fourth Street, below Lancaster Avenue? Margaret Perrone: Yes, yes, yes, below Lancaster, two streets down from Lancaster. Margaret Perrone: Yes, towards Elsmere. Right there on Union, they were right on Union Street. They were there for many years. Frazier: That area has really lasted and stayed very nice, hasn't it? Margaret Perrone: Very nice isn't it? Yes. Rocco Perrone: They were nice. That's when I — then they decided to build another house, so I built them one up on Gray Avenue, two story. Margaret Perrone: But those people look at that time, having such a small wage when they first came over, so little. And yet, do you know that when his father died and the mother, then finally the mother after several years, they still had — well one of his brother-in— law's bought the house that he built. Margaret Perrone: Yes, on Gray Avenue. So, of course, from that there was still $233 to each of us. Rocco Perrone: After paying for the new house. Margaret Perrone: After paying everything, you know. But I say, they came up very, very close. Everything was just so. If you went into their house, you always had a table set with all kinds of food. I mean they weren't the kind that didn't spend for their foods or eat light, they always had plenty, but they were very close with their money. In other words, they didn't go out and just spend it around like now. Rocco Perrone: They didn't squander. Margaret Perrone: No, they didn't squander. And this man didn't have a cent to his name when he got married. Why, because he always sent it home. After some years with the DuPonts, then when he was around 20— 21 or so — 22 - he wanted to get away from the DuPont and the little money they gave him, and wanted to go as a carpenter in the Union. So he went out to Paterson, New Jersey, you know that's near New York, where the wages were much higher. Even though the wages weren't very high at that time, $1.25 an hour was top, but it was higher than what he was getting. Rocco Perrone: Oh, my goodness, here we were getting $3.50 — $4.00 a day at DuPont's. Frazier: Oh, that's not much, is it? Margaret Perrone: Well, but anyway, he always sent everything to his mother because — to take care of his sister. Rocco Perrone: Well, I knew they needed it. Margaret Perrone: They always needed it. Of course his father worked 'til he was 65. Rocco Perrone: And my father was only getting, as a stone mason, $4.50 a day. Now they make three time in one hour. Frazier: Yes, I know they do, they're really skilled. Was your mother a good cook? Rocco Perrone: Very good, oh yes. Rocco Perrone: And my Daddy was a good cook. Yes, on a Sunday he used to cook — very good. Margaret Perrone: Very good living people. I knew of him, and very well recommended and everything, so when I first saw him at that wedding, we played ball outside in the yard there on Ninth Street, where these people lived, and I think we caught the eye, the two of us, because afterwards he wrote me that card, you know, but I wasn't ready to settle down, I was only 17. Frazier: How long have you been married now? Margaret Perrone: We've been married 57 years. Margaret Perrone: Got married in 1927, I was 23 and a half and he was 25 and a half. Frazier: They get better and better, let me tell you [laughs]. What was your favorite food that your mother cooked? Did she bake a lot? Rocco Perrone: Oh she — her and Louise, my poor sister, the oldest one that died, they used to make cakes - take turns. Make wonderful cakes - just the kind I like — I don't like cake with icing, I like the natural cake. Sponge cake, like. Margaret Perrone: Very much like the Italians do, yes. Rocco Perrone: And she used to make homemade bread - oh my, it was out of this world. Frazier: M— m— m, good. Perrone describes daily life in Squirrel Run, Christmas at Winterthur, picnics and bocce in the summer, medical care, Perrone's impressions of various du Pont family members, traveling home to Italy, and other daily activities along the Brandywine. Rocco Perrone (b. 1901) was born in Italy to Anthony and Rosa Perrone. His family emigrated to America and his father worked for Colonel Henry A. du Pont as a stone mason. His wife, Margaret Perrone (b. 1903), also contributes her reminisces of visiting Squirrel Run. Mary Olivieri Guerrina (b. 1921) was born in Squirrel Run. Her father, Bart Olivieri, worked in the mill on Blacksmith Hill, the very last gatekeeper before the mill closed in 1924. Victorine Marenco Camorirano was the daughter of John Marenco, who also worked in the powder yards. She was born at Squirrel Run and lived there until she was 14. 2 sound cassettes (90 min.) : analog. TRT 1:57:21.